Hi and thanks for checking out PureMTGO.com's spoiler for Magic Origins! So far the set looks super exciting, what with the flip Planeswalkers, Spell mastery and revamped evergreen stuff in the set. I know that I am not going to be missing cheap Hexproof creatures for sure! Speaking of the new set, we're looking at some cool "throwback" kind of cards. Dark Petition looks pretty cool right? Languish is a new version of Mutilate, that will always minus 4 a team. Demonic Pact and Day's Undoing both rang out alarms in the small bit of Johnny I have hanging out in me. 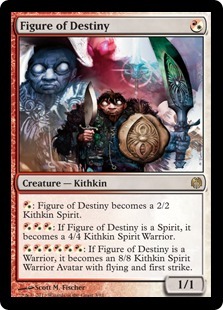 Bounding Krasis looks made for Tarmotwin decks, and Helm of the Gods looks like it could fit into a Strength from the Fallen style enchantment deck. I'm going to go ahead and get this out of the way. We have a reprint to preview. That's ok though. The card has seen play in Modern as recently as April, when Dragons of Tarkir hit the digital shelves. I also happen to think that this card is going to be best friends with a certain Planeswalker from this set. I'm the type of writer that is going to drag out a preview card for as long as possible, because I like talking history with reprints. Anyways, this card has been in a Pro Tour winning deck. Paul Rietzl won Amsterdam with it in his deck. While researching I noticed that the card had helped many players finish in the top eight of PTQs during that Extended season. However, it had seen some fringe play this year in a neat Prison deck in the Modern format. By now I hope you have figured out the common thread that these three decks have had. If not here, is a picture of what we are going to working with in Standard for a bit. Welcome back Knight of the White Orchid! This 2/2 first striking Knight is a pretty fairly costed creature, but let's look at the rest of the text. 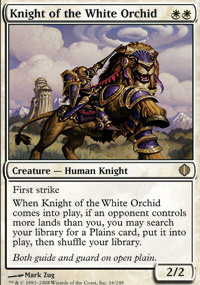 When Knight of the White Orchid comes into play, if an opponent controls more lands than you, you may search your library for a Plains card, put it into play, then shuffle your library. This helps to break a rule of Magic for you. If you're on the draw, imagine the first few turns of your game like this in Standard. Turn 3: Attack with your tokens and walker, flip the Kytheon. Make Knight of the White Orchid, putting you up to three lands, and play your land for the turn. Turn three you have three creatures, a super neat Planeswalker and four lands. You could flood the board with more dorks. 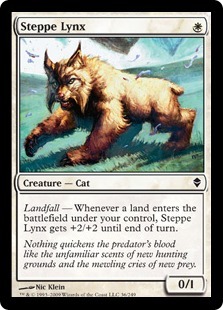 You could use the mana to protect your creatures with stuff like Ajani's Presence or Center Soul. I'm not the greatest deck builder anymore, but I would start to look at a White Weenie deck with something like this. We have protection with Ajani's Presence. We have a late game threat with Return to the Ranks. Multiple aggressive Planeswalkers! A soldier subtheme. It may not be the best, but it looks to take advantage of Knight of the White Orchid and the newest toys that have been spoiled so far! Welcome back to Standard Knight of the White Orchid, I look forward to seeing some busted draws with you in the format soon! That's a sweet reprint. Glad it's back. It's a lot harder to write previews about cards that we already know are good, but are not sure about being good in the new format. I like it. 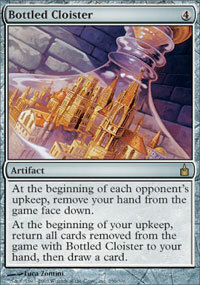 It's a solid popular card, has a good effect, and can make your opponent play differently if they know you have it. Ok, clearly everyone else is missing the most important question. Why does that lion have hooves? Because it's not a lion. It's a stallion...I'm done now. In Bant, the lions are used as riding mounts. Ok, that part I figured out. How did they get the lions to grow hooves on their front feet? Or is that something else? Anyone trying to put kitten mittens on a lion is going to go though a *lot* of squires. Different species, common ancestor. These are Leotau. I guess I can't really be surprised by a feline/bovine hybrid in a game with a flying purple hippo. Other feline-bovine hybrids: Lammasu, Tarasque, Quilin, and certain chimerae. Also aren't Lammassu Flying Oxen OR Lions with Human heads? What does that say about the Lamassu species as a whole? They are two species that someone got mixed up. That's it, I can't take it anymore. I'm building a white weenie deck in Standard again! This makes me happy! I have been waiting to play a solid White Weenie deck again! Maybe it's time for white weenies to rise up again! Death, taxes, and white weenies for life!